Fragments of architectures and portions of cities move on the background of a cloudy sky or mountain peaks: this is the apocalyptic and visionary scenario that the photographs taken from the Alchemy series by Marco Lando offer to us. Suddenly weightless and enthralled by a revolutionary, unknown and uncontrollable energy, these cities of the present and the past are bound to a centrifugal force pushing them to wander in space, captured by an subversive cosmic power. The "Alchemy" title alludes to a kind of alchemical energy that moves these architectures as rocks thrown into space that oppose the traditional rules of gravity and overturn our usual rules of perception. 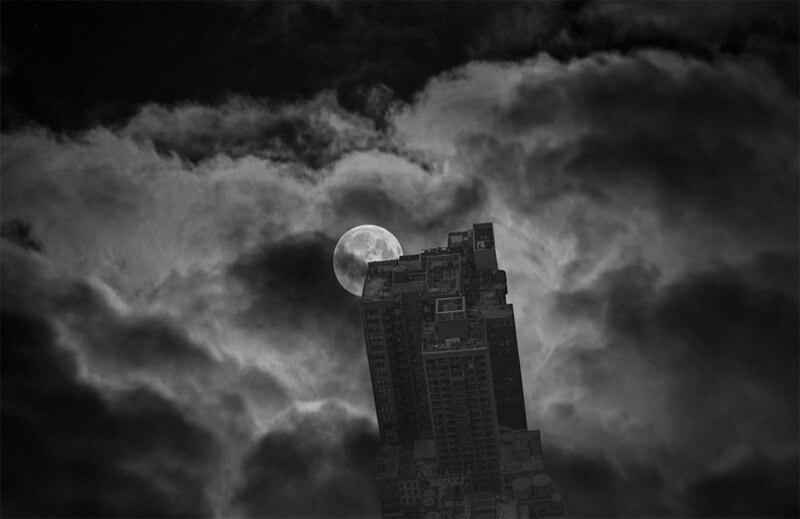 Therefore the Alchemy scenarios are the result of a surreal and visionary fascination, giving photography the power to show us the earth overwhelmed by the moon or a mountain plain where skyscrapers have landed as if they were meteorites fallen from space. These unique landscapes, between apocalypse and vision, play upon the instability of unbound volumes and empty spaces that often appear without a horizon. There are an apparently airless atmosphere and time without indications, where the visionary imagination finds a powerful and surreal expression. The photographic practice of Marco Lando is based upon a pure act of revelation, intended as an subversive action, an epic and revolutionary gesture. On one side, this is based on the destruction of our habitual codes of reference, on the other side on the reconstruction of the image according to new rules, directed by the power of creation. This act, the dynamic force of throwing a stone towards the empty sky, overturns our perception of time and our coordinates of movement and space. In order to create an immediate visual and emotional upheaval into the viewer, Lando's chosen subject is architecture: this is part of a man's vocabulary and connects to what matters most to him, his daily life and shelter. This immediately creates a visual and emotional shock. While the object can be identified by heart, the large size of the buildings creates an emotional detachment in the viewer. At the same time, the manipulation of the image – approaching hyperrealism – maximises the astonishing surreal effect. 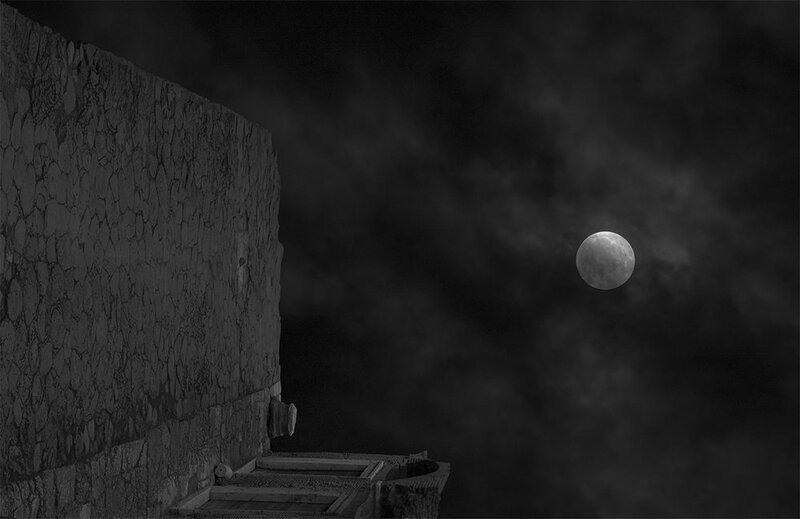 Marco Lando uses these techniques to derange the viewer, providing a feeling like being at the edge of a cliff, where – according to André Breton – "chance is the form making manifest the exterior necessity which traces its path in the human unconscious." The viewer's disorientation is completed by the thrill of discovery: the photographic practice of Marco Lando is a gateway to a new dimension of liberation from the past and its old habits.